Local Interagency Coordinating Councils (LICCs) are community-based advisory groups. Each county should have a LICC. Local service providers and parents work together to make sure that all families know about early intervention services. support community efforts that involve children with special needs and their families. 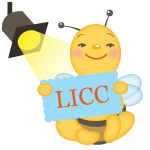 To find your LICC, contact Denise Joyner Bennett, NC ICC Coordinator, at 919-707-5523. The Henderson County LICC was looking for a way to inform professionals and families in the area about developmental services available to children five years and under. With costs being an issue, the LICC partnered with an educational technology class at Blue Ridge Community College who took the video on as a class project. The class formed teams and LICC members acted as judges to choose the winning video. The Henderson County LICC produced a nine-minute video to be used in pediatrician offices, family practices and health departments. The video highlights several local agencies that provide services for children up to five years old who have special needs, and their families. Those agencies include the Infant-Toddler program CDSAs, PREP (Preschoolers Reaching Educational Potential), Care Coordination, Exceptional Children’s Preschool Program and the Family Support Network of Western N.C. The vignettes feature fathers as well as mothers talking with professionals about their children’s development. For more information about this video contact Anita Foster at Anita.Foster@dhhs.nc.gov. The Cumberland County LICC - aka: COLORS (Children’s Organization Linking Opportunities Resources, and Support) - is launching a new Child Find and public awareness activity aimed at local Mothers of Preschoolers (MOPS) groups. Several LICC members will be presenting an overview of the LICC, highlighting developmental milestones and the importance of early intervention and informing the group about community resources and referral processes. COLORS has four standing committees that provide a framework for Council action and accountability. Membership consists of a wide range of agencies such as Cumberland County Schools’ Homeless Social Work Services and Carolina Collaborative Community Care. In addition to Council activities, including participation in local fairs, festivals, parades, and literacy days, the Council has been strengthening its internal networking abilities through presentations by member agencies at regular monthly meetings. This practice supports relationship building among the membership. For more information contact krisveno@gmail.com and visit COLORS at www.cumberlandcolors.com. LICC Handbook: Guidance document for LICC operations and resources to assist LICCs in functioning.